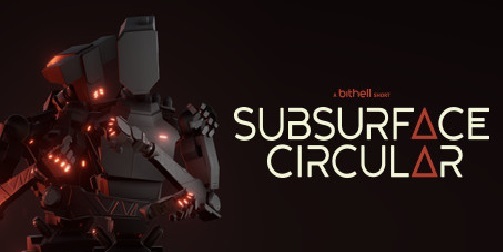 Download Subsurface Circular (2017) for Mac OS. New very interesting adventure game developed and publised by Bithell Games. 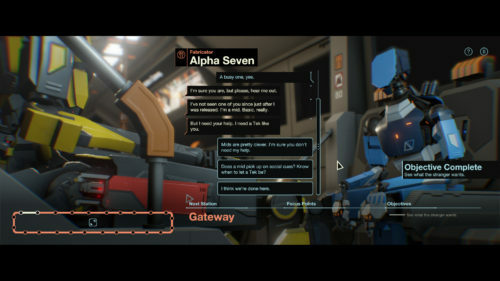 Subsurface Circular is a loose take on text-based adventure game, with the game is presented in a three-dimension, third-person perspective. The player controls a robot detective in a futuristic setting, tasked to solve cases aboard a subway system below a human city that ferries around other robots that serve as the workforce. In the game, the robot detective must solve a case of a number of robots that have gone missing, by talking to other robots while they are on the subway cars, following various conversation trees, and at times, solving puzzles to help out a robot and get more information. 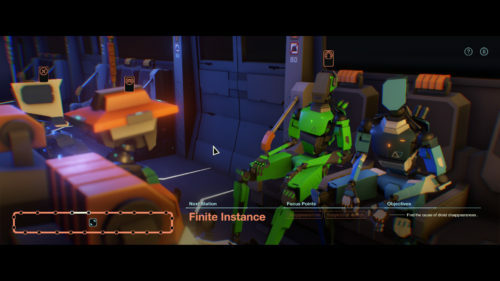 The player acquires «focal points» on achieving certain goals, which then can be used to question other robots to get more information to solve the mystery.